January has brought with it some much needed rain which, to date, has brought the lake up to 14 feet from full. While we still need a bit more there’s plenty of time for it. For now we’re got a week, and probably more, of decent weather and a relatively quiet shoreline and surface temperatures in the low 50’s. I was checking in with folks fishing this morning when I ran into a couple who had just tossed a worm twenty feet out; In seconds a good sized spotted bass snapped it up. 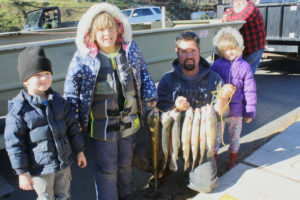 There aren’t many people fishing for bass this time of year, or at least they’re not saying much but it goes to show that there is baseline bass activity year-round if either you’re patient and know what you’re doing, or serendipity strikes. In my opinion the best looking and most enjoyable catch in our lake is Largemouth, although we normally release them. 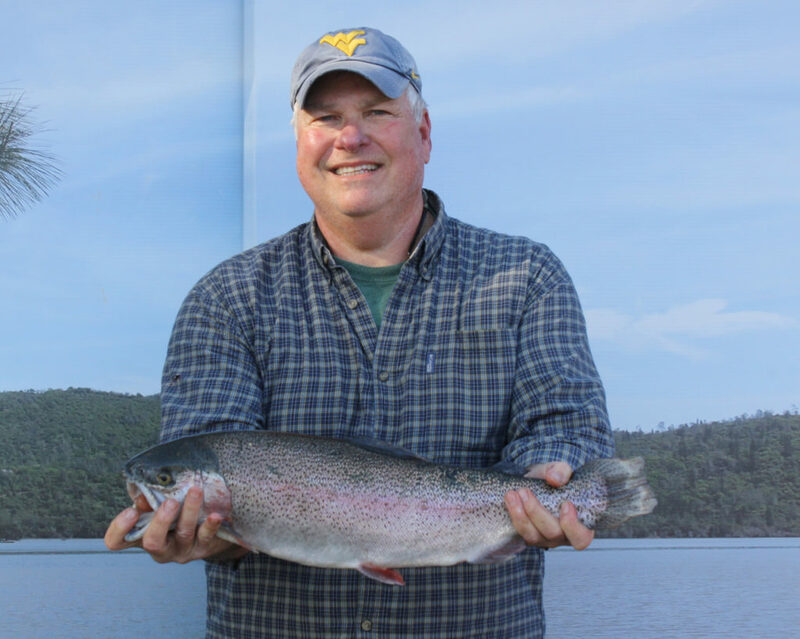 Trout is a much easier affair. Although I’ve heard you can catch in any weather we see the most winter trout caught when the sky is at least partially clear and gusts are under 10 MPH. This probably has more to do with fishermen than fish but never the less. 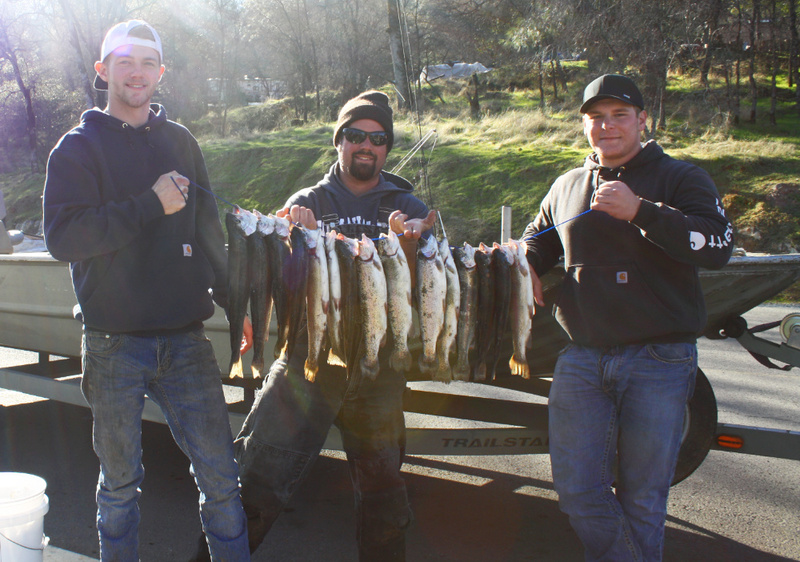 A couple weeks ago Andrew, Anthony and Mike limited with 15 trout caught using KastMasters near Elmer’s cove at the North end of the campground. 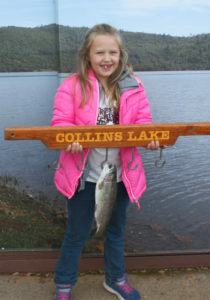 But since the rain murked up the water last week PowerBait has been a better bet with Khloe catching hers on “Natural Scent Salmon Egg” PowerBait. 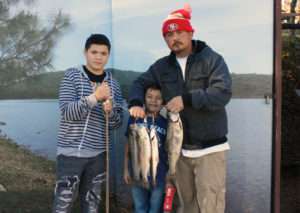 Clay and his boy brought in 4 on green PowerBait from the North end of the beach, as did Hugo Garcia, whose largest weighted in at 4.5 pounds. 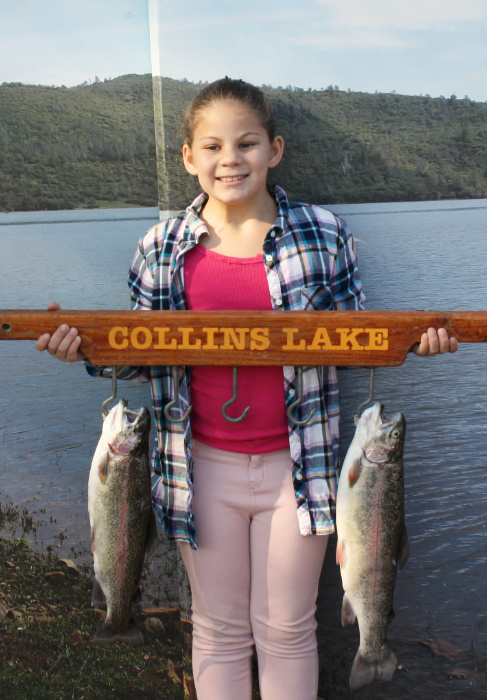 Rowan from Marysville split her efforts with PowerBait and a worm and caught a fish on each. 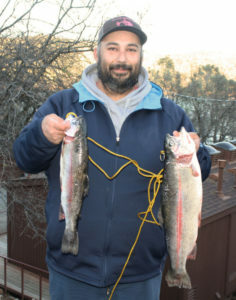 While it’s possible to catch trout trolling the shallows, which is how Zachary Wilson from Vacaville caught his 2 pound trout, typically this time of year you’re better off casting from shore or, if you’re in a boat, casting toward shore or along gentle slopes. Fishing along the dam will pick up in a couple months but I’d avoid it until the water settles a bit. But hey, prove me wrong and send a picture.